Melt the Peter’s Peanut IceCap™ Chips to 100-105⁰F. Blend in the pretzels, potato chips, and apple chips and mix thoroughly. 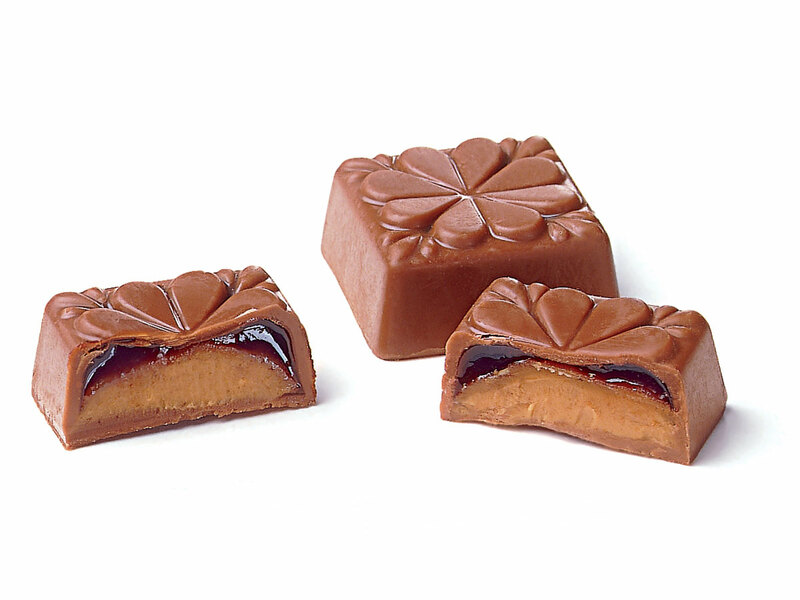 Spread to approximately 3/8 inch thickness on a large parchment lined sheet tray. Immediately spread sea salt evenly over the surface while still wet. 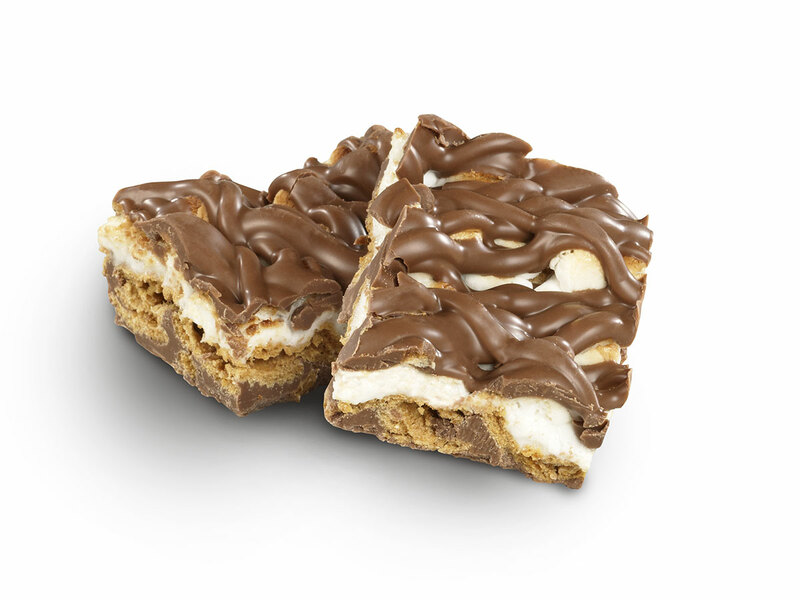 Drizzle tempered Peter’s Chatham® Milk Chocolate diagonally over the top. 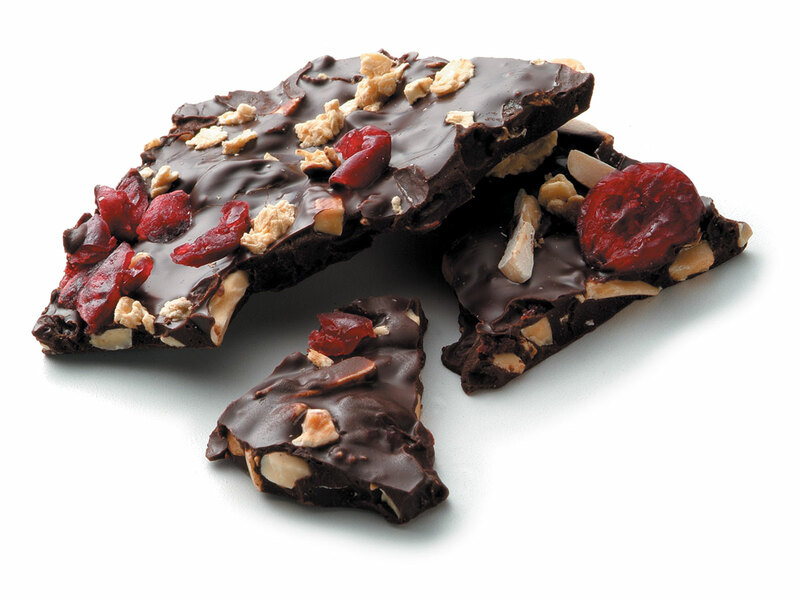 In the opposite diagonal direction, drizzle the tempered Peter’s Burgundy® Dark Chocolate. When almost set but still slightly soft, deeply score with a knife into 2 inch squares. Allow to fully set, then break apart the squares. 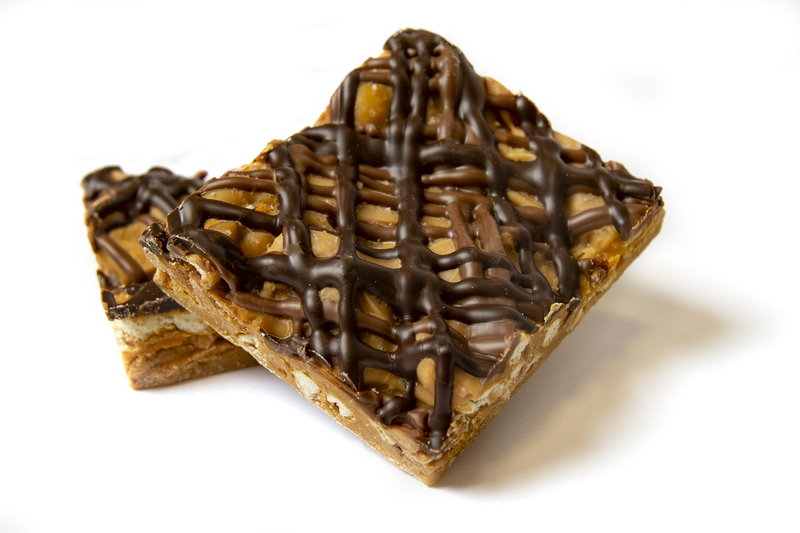 Our Lunchbox Bark was originally created as part of our 2019 Peter’s Chocolate Calendar. To learn more about the calendar and see other innovative creations from 2019, visit our blog here.